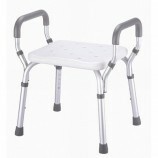 A grab bar or handrail is a bar which is designed to help people with disabilities. 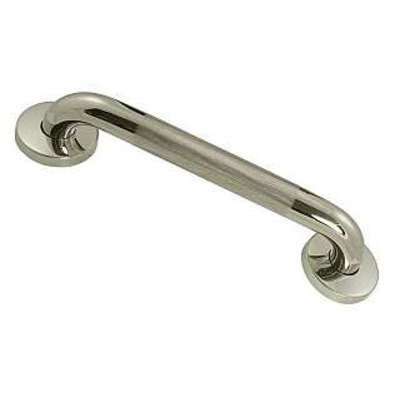 You may have seen grab bars in accessible restrooms, for example; in this instance, they help people get in and out of wheelchairs and walkers. 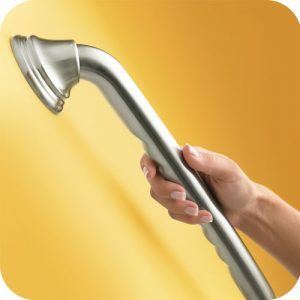 Grab bars can also be installed in full bathrooms to help people navigate, and in some homes, grab bars are installed in many locations around the house, anticipating a variety of potential needs. 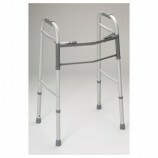 Grab bars are also safety devices, providing something to hang onto if someone loses his or her balance. 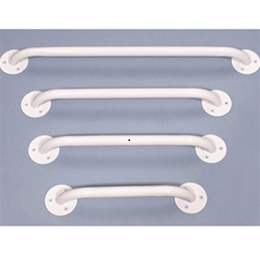 Many hospitals and nursing homes install grab bars in their rooms and public areas for this very reason, even if they are not necessarily required to do so. 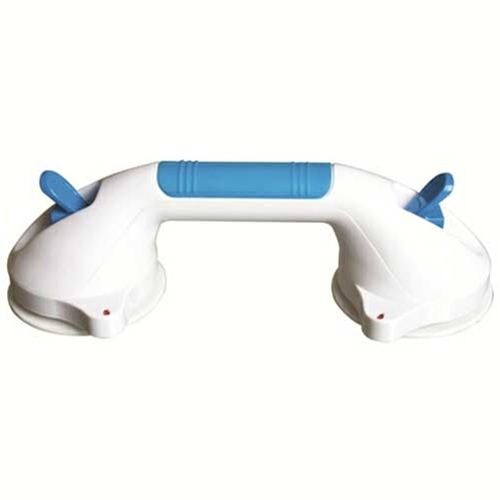 Several features distinguish a grab bar. 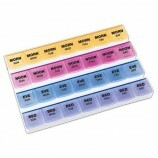 The first is that it is designed to carry a large amount of weight. 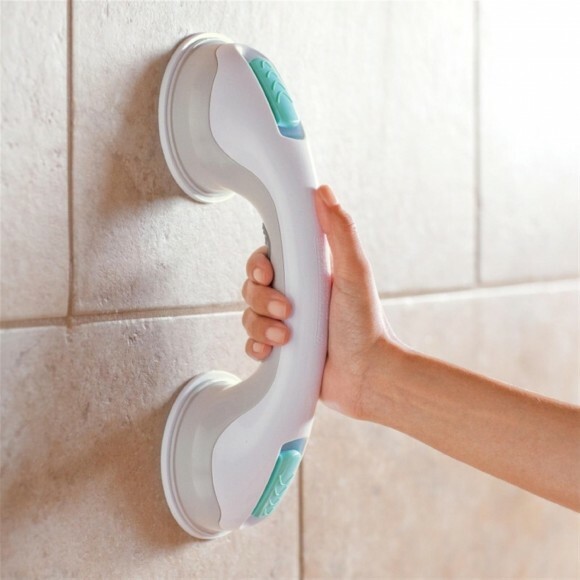 A grab bar must also be mounted in such a way that it will not rotate in its fittings, and it is typically round and wide enough to create an easy surface to grip. 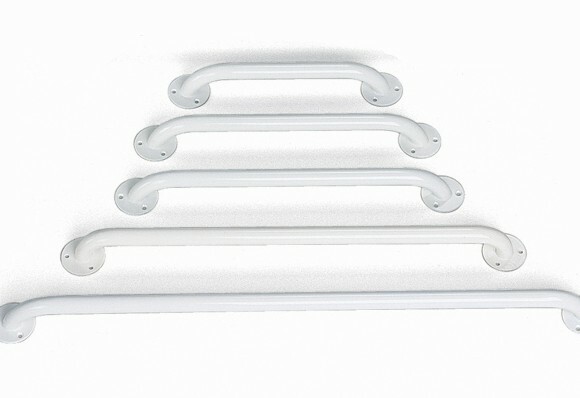 Many grab bars are made from various metals and plastics. 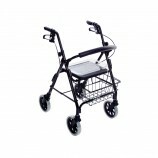 Some grab bars may have a textured surface to provide some traction. At Careway Wellness Center, grab bars are one of the most popular categories of bathroom safety equipment. If you live in the vicinity of our retail store, in Woburn, Massachusetts, and are interested in learning more about grab bars, come in for a demonstration by one of our expert sales associates. 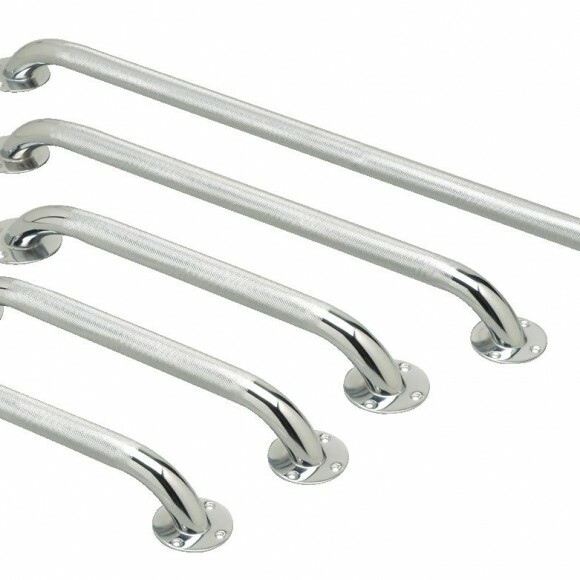 If you live outside of our area and have questions you need answered about a grab bars, call us at 1-781-933-2345 and we will be happy to answer your questions.